Sol Rio de Luna y Mares Resort hotel for scuba diving and snorkeling equipment. At the 4-star All-Inclusive Sol Río de Luna y Mares Resort, guests will enjoy a fantastic view of the crystalline waters and tropical palm trees and the possibility of scuba diving in the colorful ocean depths. 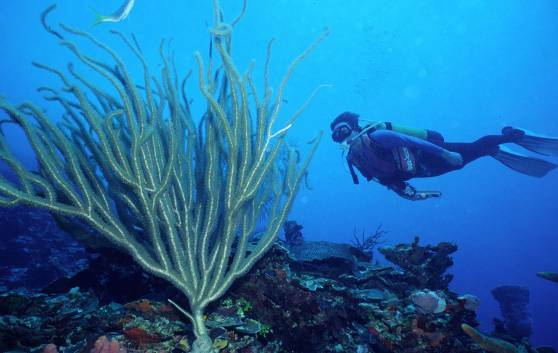 In this Cuba diving destination, there is a diving zone, with an irregular and complicated underwater structure, forming high hillocks, caves, small valleys and vertical wall cliffs. The International Scuba Diving Club is located in Guardavaca, a mere 100 m from the hotel, offers a variety of scuba diving packages and initiation courses provided by PADI and SSI - certified instructors.